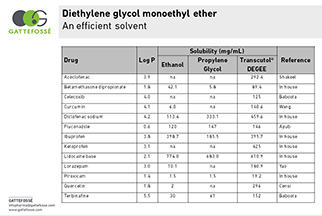 Highest-purity solvent and solubilizer for solubility and bioavailability enhancement for oral and alternative routes. 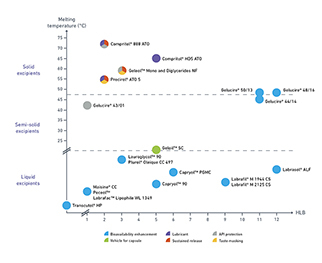 Cosolvent in surfactant oral formulations—LFCS Type III (SMEDDS) and Type IV (micellar solutions). Vehicle in parenteral, nasal, ophthalmic formulations. Safety of use and low irritancy inferred by numerous toxicological studies and precedence of use in approved pharmaceutical products.